Japanese car manufacturer Nissan has unveiled the groundbreaking, innovative ZEOD RC (Zero Emission On Demand Racing Car), the world’s fastest electric racing car. 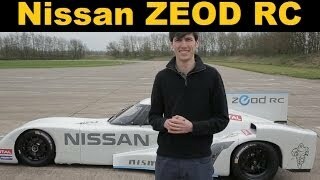 The Nissan ZEOD RC is a natural progression that follows on from the development of the Nissan Leaf road car and the Leaf RC race car prototype. 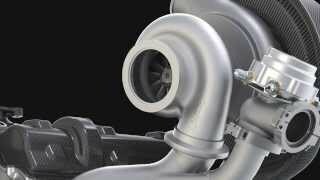 The technologies developed through the ZEOD RC program will form part of future innovations for Nissan road cars. The ZEOD RC will make its race debut at next year's Le Mans 24 Hour and will reach speeds of more than 300km/h with electric technology. There are no specific details revealed about the ZEOD RC, but according to Nissan it utilizes the same lithium battery technology found in its Leaf electric hatch. 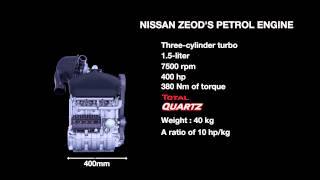 The technologies developed through the ZEOD RC program will form part of future innovations for Nissan road cars. 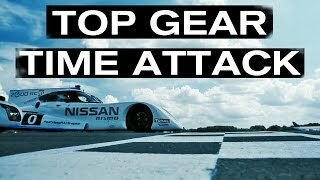 Nissan will trial variants of new electric drive train technologies as part of its intended future return to LM P1 competition to challenge for overall victory at the world's most prestigious endurance race. The Nissan ZEOD RC will make its testing debut later this summer.